Who are mt kenya Mafias ? Are they the rich in the land of the Bantu? 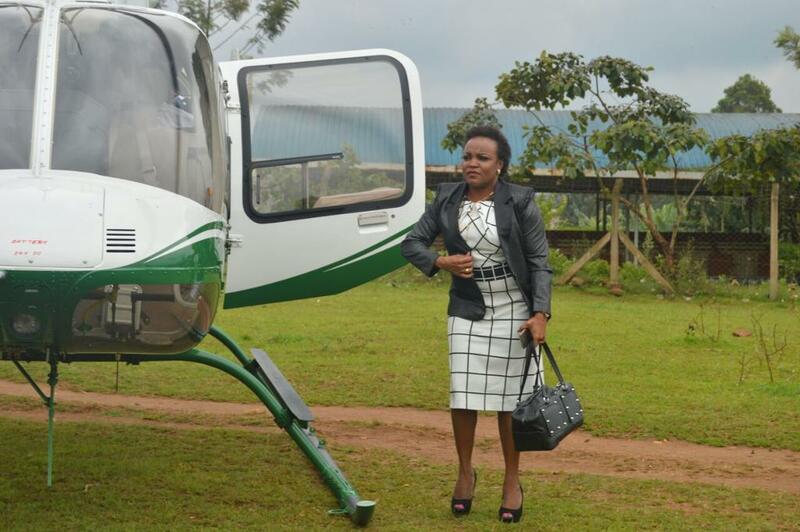 Purity Wangui Ngirici stole the show when she launched a massive air and land campaign in Kirinyaga to emerge the winner.Since then, she has been hogging the headlines mainly thanks to her run-ins with Governor Anne Waiguru. At one point, Deputy President William Ruto’s tour of the region was nearly derailed after a row ensued on who was to welcome him. Ngirici is considered to be a close ally of both Ruto and President Uhuru Kenyatta. 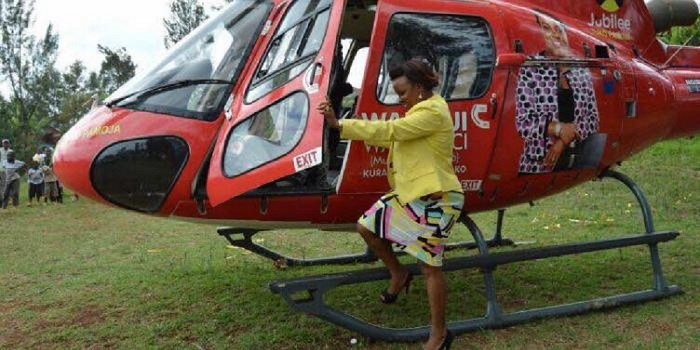 In fact, the chopper she used in the 2017 campaigns was leased from the President. Born in 1978, she is married businessman businessman Andrew Ngirici, who is said to have ties with the family of former spymaster the late Joseph Kanyotu, and the two are blessed with three children. She has a Bachelor’s Degree in Commerce from a London University and is currently pursuing her Master’s Degree in Human Resource at the Jomo Kenyatta University of Science and Technology (JKUAT). The family has interests in real estate, mining, farming and infrastructure. She also runs several charity programmes in Kirinyaga aimed at uplifting the living standards of women and young people. But her profile is set to go a notch higher following the family’s decision to launch a media house, which is likely to eclipse other Mt Kenya targeted stations such as Kameme FM and TV, Inooro FM and TV and Gikuyu TV. Already, there are reports that the soon-to-be launched Mt Kenya TV plans to sweep Kameme TV, a channel owned by the Kenyatta family and Ruto. Sources indicate the family has invested over Ksh 600 million in the media venture, which is likely to extend into radio positioning it as the new power player in the Mt Kenya region, which has previously been dominated by the likes of the Kenyatta family and Royal Media Services founders SK Macharia and his wife Purity Gathoni. Political pundits say Ngirici is among key Mt Kenya politicians who will have a big influence in the 2022 succession politics, which explains why she has no time for Waiguru, who some opine could be Ruto’s running mate. She is also likely to go for the governor’s seat. Ngirici openly declined to attend Waiguru’s inauguration as governor, saying she refused to recognise her win and instead her supporters mocked her yet she is the one who groomed her. “Respect is two-way traffic and if Waiguru does not respect me as as a duly elected leader or as her mentor, then I will not also recognise her. When I was declared the winner of the seat by the county returning officer, Waiguru’s supporters burst into songs as they mocked me,” she told a local daily. Welcoming the Women Representative of Kirinyaga County and the chairperson of KEWOPA, Hon Purity Wangui Ngirici (@puritykuria74) at the Wajir International Airport ahead of the visit of Hon @EugeneLWamalwa. As part of their wars, Ngirici was at one point denied entry into Kianyaga Children’s Home when she tried to donate t 180 pairs of shoes, 180 mattresses and other gifts. The management flatly turned them down. Apart from politics, she was in the news when police raided Paleah Stores and impounded 1,365 bags of illegal sugar from warehouses in Eastleigh, Ruiru and Nairobi’s Industrial Area. The store is connected to Ngirici’s brother. However, she denied any connection to importation of contraband sugar at a time Interior Cabinet Secretary Fred Matiang’i raised an alarm that the products were contaminated with mercury. “I am innocent. Let the DCI (Directorate of Criminal Investigations) director arrest me if he finds that I am linked to the sugar deals,” she said.